The Crucial M4 is one of the oldest (well not very old ~ 2011) and popular Solid State Drive that, until now, is available on the market and competes with other SSDs from Samsung, SanDisk, OCZ, Corsair, Intel and more. A few days ago the 256GB capacity price went down to $199 only from its original SRP of $299.99. Check out more details below and where you can grab this deal. 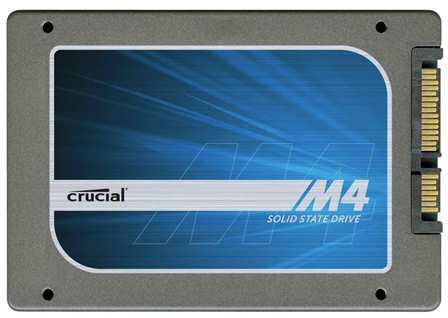 The 256GB Crucial m4 SSD is one of the fast and most efficient solid sate drive on the market. It is so popular that even now, despite the release of Samsung 840 Pro and Samsung 840 Evo, people are still buying this SSD. The Crucial m4 is not only a good upgrade and investment for your laptop, but for your PC as well. The Crucial m4 256GB SSD features fast sequential read speeds of up to 500MB/s and sequential write speeds of up to 260MB/s in SATA 6Gbps interface. I know it’s not the fastest SSD out there. But it is one of the best value for your money you can get. It also features Micron MLC flash components, and shock and vibration resistant. B&H Photo Video is selling it for only $199 with free shipping in US here. TigerDirect is also offering the 256GB with a discounted price of only $200 here. The Crucial m4 256GB includes a 3-year limited warranty. Note: If you are relatively new to Solid State Drives, check out my review on WD RE 4TB Hard Drive Review. I have performance comparison of the WD RE 4TB HDD, WD Velociraptor HDD and a Samsung 830 128GB in that article just to give you an idea. Remember, the WD RE and WD Velociraptor are not your typical hard drives and are faster than any 72000 RPM drives, even the WD Black.